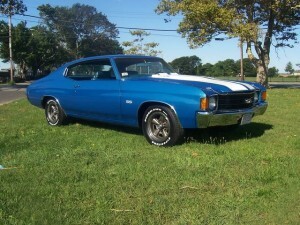 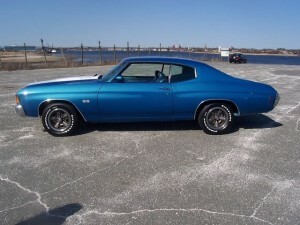 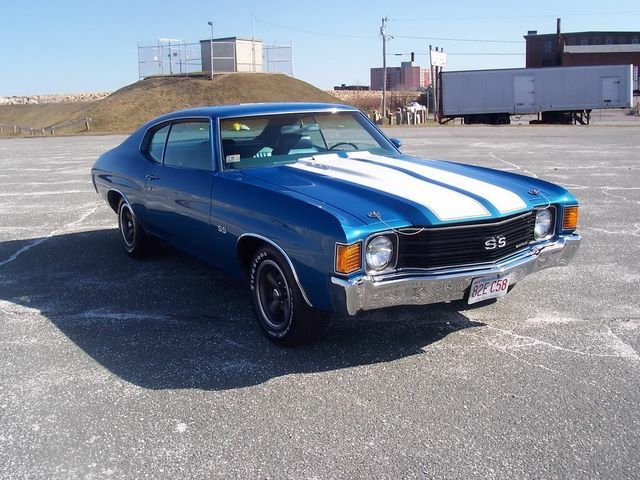 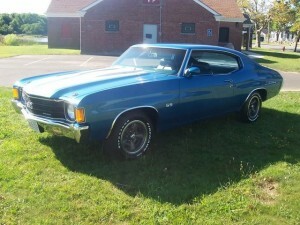 Mark spent 5 years searching for the perfect Chevelle, and knew he had found it when he stumbled across this clean blue on blue 1972 Chevelle SS. 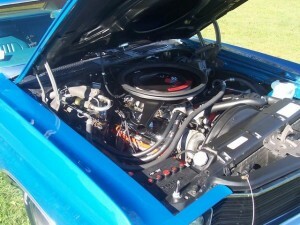 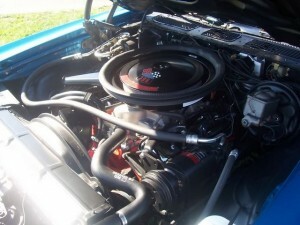 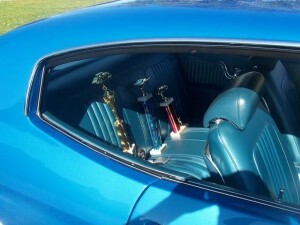 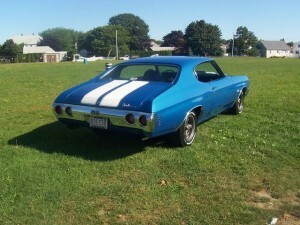 Although it was an original small block car, there was a 1970 Chevy 396 Big Block already installed, which Mark had rebuilt. 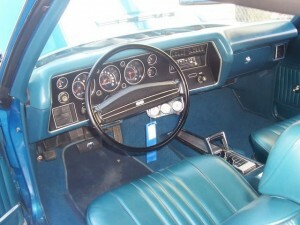 After adding a functional cowl and new bumpers Mark had the car repainted with mirror finish Mulsanne blue paint and white stripes.